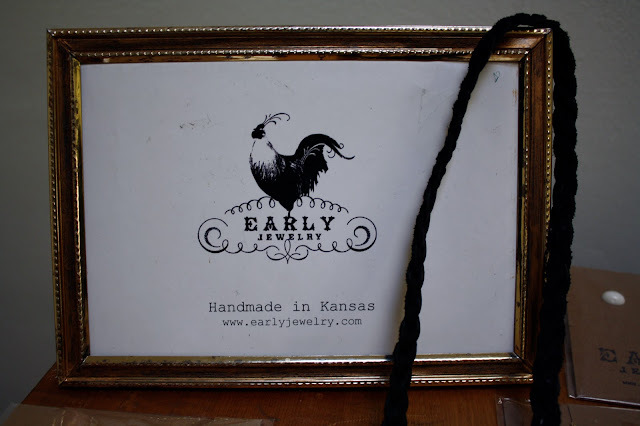 I recently sat down with Kansas artist Kylie Grater of Early Jewelry at her studio. Much like Kansas Couture, Kylie expresses her design aesthetic from a Midwestern perspective. Her distinctive handmade pieces are loved by women all over the world. She sells her work through her website, Etsy and at boutiques throughout the country. Currently working with Free People for their May catalog, she has also sold her jewelry through Urban Outfitters and has been featured in Nylon, Teen Magazine, Rachel Ray and more. Kansas Couture: Tell me about your inspiration. 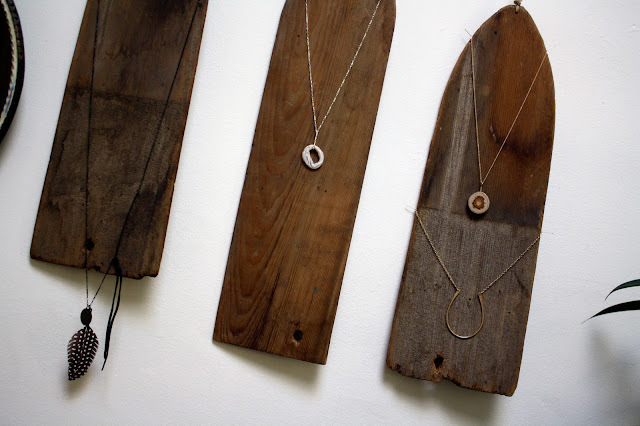 Early Jewelry: I go for natural, simple, clean design. I'm inspired by open spaces and rural souvenirs like wood, leather and antler: things you might find on a walk. Design-wise, I draw on the cleanliness of the rural Kansas landscape... plots of field and horizon lines. 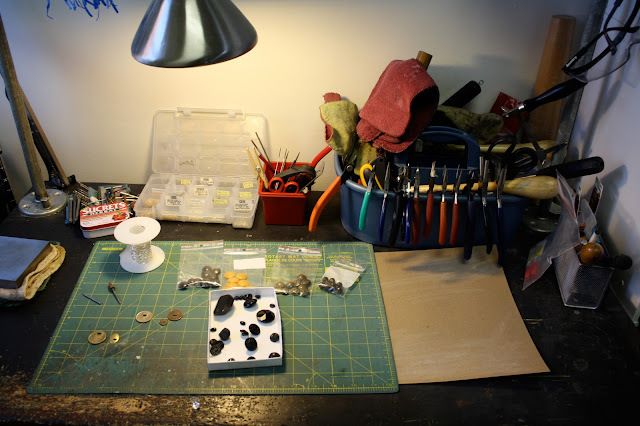 KC: How did you start making jewelry? EJ: I grew up in a tiny town and always liked being creative as a kid. In high school, I had a great art teacher who gave me lots of allowances. I studied metalsmithing at KU and spent a year in England, which prepared me professionally. I launched Early Jewelry through LOLA in 2005 and have been doing it full time for three years. "I like being from Kansas. It's part of the Early Jewelry identity." KC: Tell me about your process. EJ: I'm very materials-based. I don't do a lot of sketching. I'll see a shape in nature and then think about the design in my mind. I'm always manufacturing, forming and producing using techniques that I know work. I keep my production simple. KC: Why do you stay in Kansas? EJ: The internet is the only reason I can run this business out of Lawrence. My website allows me to have my own store, my own brand, my own identity. I can market myself internationally. And I like being from Kansas. It's part of the Early Jewelry identity. Being from Kansas can be cool. People find it quaint. It's not necessarily a reality to people. It's an idea or concept. "I have ... a moral desire to have my business reflect good." KC: Why is it important to be involved in the local art community? EJ: Growing up in a small community taught me the importance of volunteerism. Involvement in the community in general is ingrained in me. I have a business but also a moral desire to have my business reflect good. Through this activism, I always meet people, which leads to other things. KC: Do you have any advice for people interested in starting their own business? EJ: Knowing business is really important. To go from just being crafty to a full-time job, you have to understand marketing, if and how you're going to advertise, producing a quality product, managing interns, bookkeeping, staying extremely organized and more. You feel like you have to do everything, but I'm doing what I like, and it's totally my voice. Stay tuned: On Monday, there will be an Early Jewelry Valentine's Day giveaway! What a great post... thanks for sharing. By the way, I want a work table just like that! WOW, thanks for sharing. Kylie Grater is definitely a very talented artist and it's always nice to see Midwest ladies represented. I love the horseshoe necklace! I think I may have told you this already, but one of my best friends is from Lawrence, and she has made me fall in love with Kansas! love kylie. :) brilliant work and sooo sweet. and gorgeouss blogg- will definitely be back visiting SOON! Lovely. I wish I was in Kasas!!! That's supposed to say Kansas. really great jewelry and interview! i enjoyed this. I met the girl behind EJ at the latest Renegade Craft Fair here in Chicago. I really love her work and was once again, really proud of the people of Lawrence & KC!